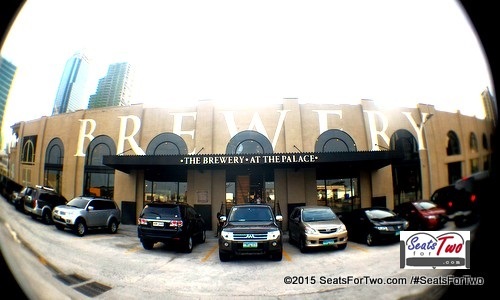 Seats For Two visited a fairly new restaurant called Modern Shanghai at the new wing of Glorietta in Makati. 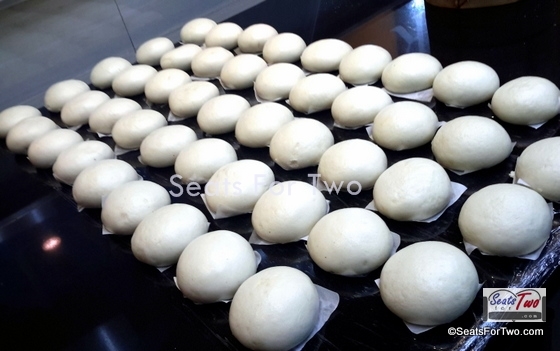 It’s signature Xiao Long Bao is one of its famous dishes earning raves from different food reviews. And it’s high time Seats For Two try it out upon their invitation. We also met Mr. Paul Kwok, president of Modern Shanghai, who was visiting the country at that time. Needless to say, we didn’t let this opportunity pass! We were welcomed by the people who were responsible for bringing Modern Shanghai to the Philippines. They briefly explained that although the restaurant name is Modern Shanghai, their cuisines remained true to the traditional recipes of Shanghai cuisine and style of preparing their food. Only a few dishes were adjusted to cater to the local Filipino taste. Allow me to share with you our complete experience in future posts. For the mean time, I decided to focus on their signature Xiao Long Bao. Growing in a Chinese family and culture, dumplings in all its form is no stranger to me. Undeniably, Xiao Long Bao is at the helm of those most cherished. 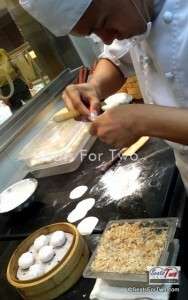 Although it is already my second time in Modern Shanghai, it was my first time to try their Xiao Long Bao. And so it was. We got to try it and I was pleasantly satisfied with its authentic taste. 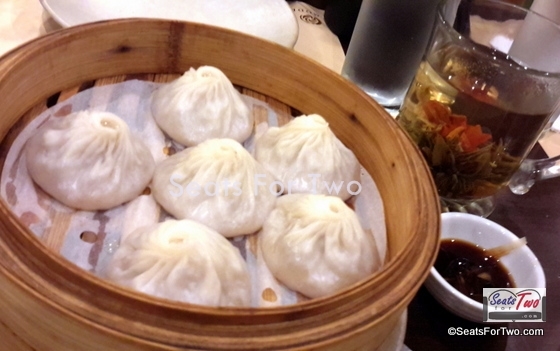 With 8 pieces at only P205, this is one of the best local Xiao Long Bao in its category. We also got the opportunity to visit their kitchen which is see-through from the mall walkway of Glorietta to the public’s delight. Haha, xiaolongbao with a hole! 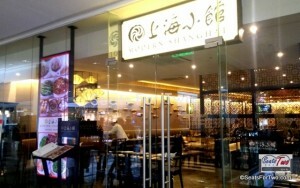 Which Glorietta is this Modern Shanghai branch?